One of my family's favorite songs to pray with is "CRISTO YO TE AMO". I have sung this song in the grocery store and at work, just singing unto the Lord and people have stopped and expressed "I love that song! It is one of my favorites". And we will begin to talk about the song and other songs that move us. This song is heard on our cell phones, in our home, in our car, and of course, on my playlist, "I don't know where I would be if I didn't have You, if I had not met the God that loves me". How like a child to ask, "What happened to Your hand?" They want to know what hurt you and they ask with compassion in their eyes, feeling sorry for your hurt. I know what happened to His hand, He took the nails for me, He paid the great debt I owed for my sins. And I am sorry for the hurt He suffered. I know what happened to His hands, He loved me so much He engraved me into the palm of His hand so He will not forget me. Every time He moves His hand, looks at His hand, He will see me. I would like for you to try a little project. When you wash the dishes or brush your hair or whatever it is you are doing, tie a red ribbon around your hand. Do you notice the ribbon with every movement your hand makes? The Good Lord sees me engraved into the palm of His hand continuously. And unlike the ribbon that can be untied, put away and forgotten, the engraved nail prints do not come off or get wiped off and forgotten. We are always on His mind and heart. What happened to His hand? 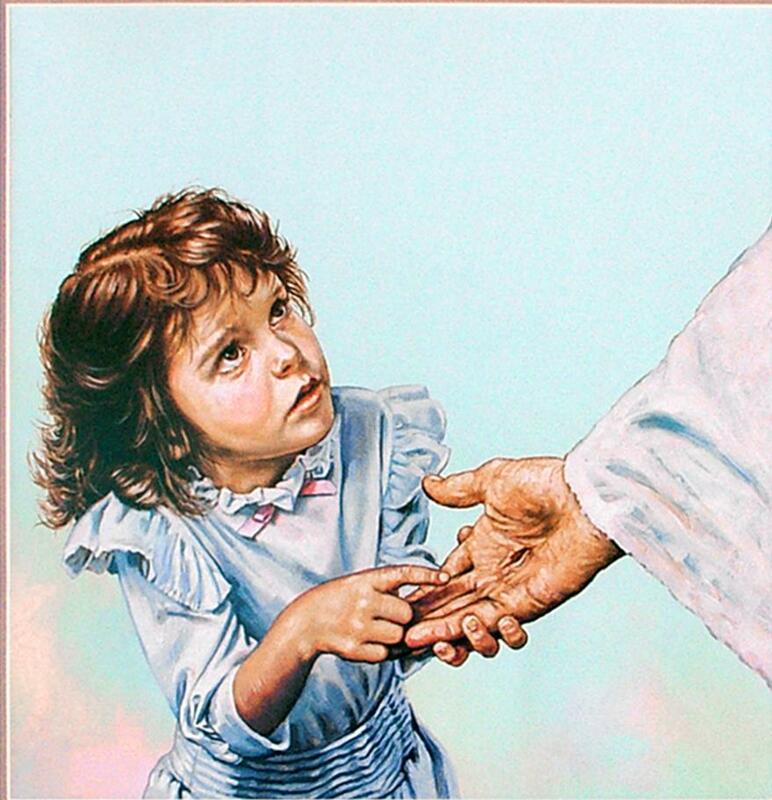 He loved me, is what happened to His hand. Thank you so much for participating in the blog hop. Wishing you all the best in your bloggy endeavors. Cheers! What a beautiful blog and a beautiful song. Thanks for the follow at Random Tips on Healthy Eating. Thanks, Adrienne. I will visit the site and listen to their CD. I have enjoyed their music in the past and wish it was on the Playlist.com. God bless.